The tunics and hoods offered in this section are made of cotton blend fabrics. There is an almost endless combination of colors and materials so if you do not see what you want please email and ask. Tunics are sized adult small through 2xl. There will be a place to state the size you want as you go though the checkout. You can also just email me. 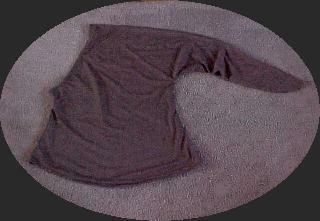 This tunic has a tan body with dark brown sleeves. 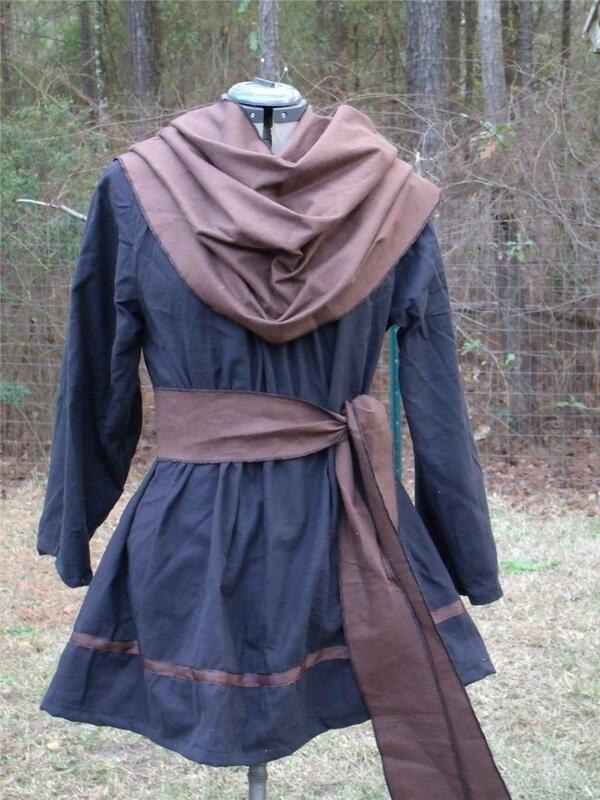 The cowl/hood and matching sash are black. 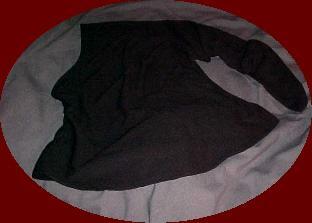 This tunic has a black body with black sleeves. 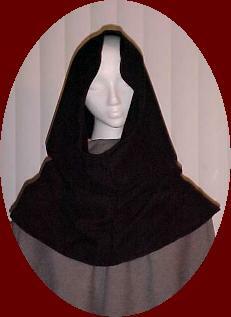 The cowl/hood and matching sash are also black. 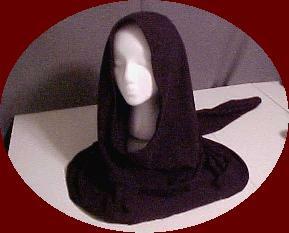 This hood is a great addition to any Renaissance or Medieval costume. This one is olive stretch suede. It is lined in black, so that it can be worn folded back at the face. Showing a nice contrasting cuff look. Also available in other colors. 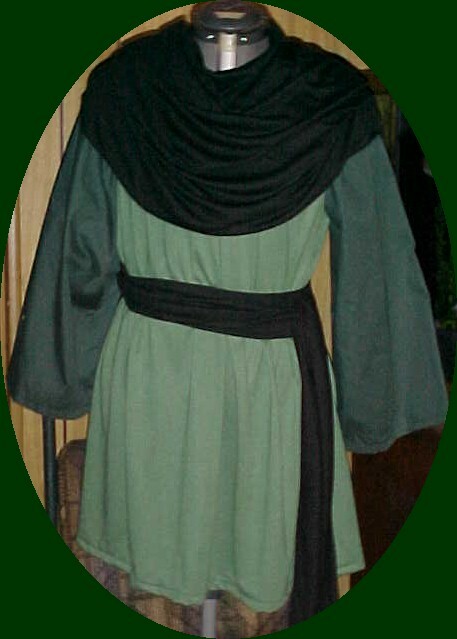 This tunic has pale green body with green sleeves. 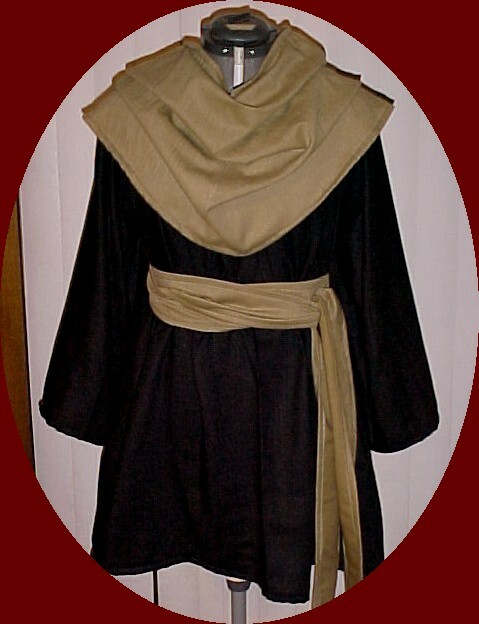 The cowl/hood and matching sash are dark green. This tunic has a white body with white sleeves. 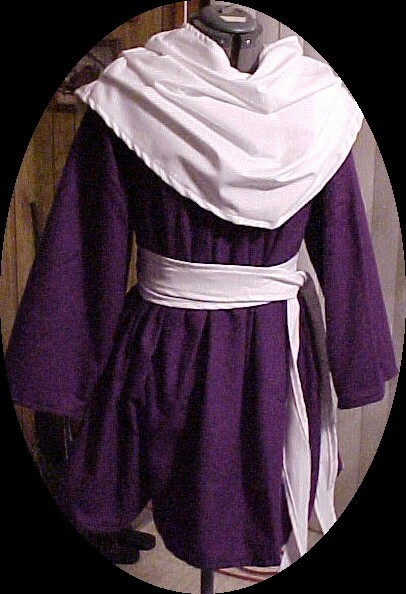 The cowl/hood and matching sash are purple. 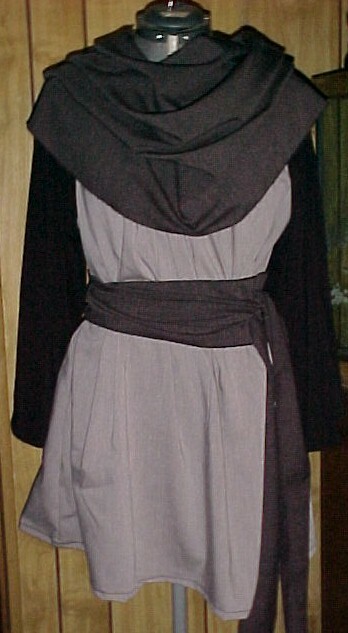 This tunic has a grey body with black sleeves. 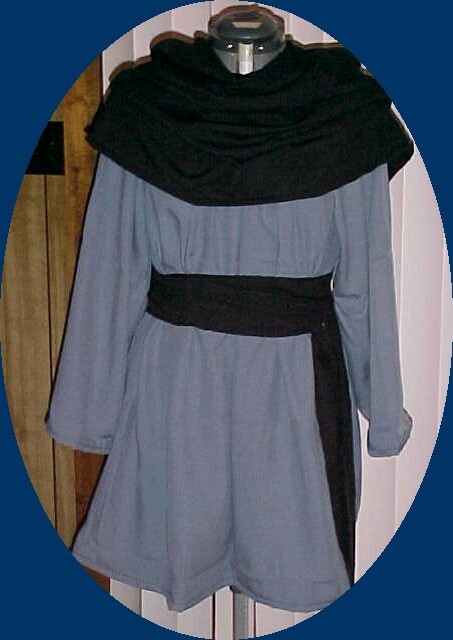 The cowl/hood and matching sash are dark grey. This tunic has a light blue body with light blue sleeves. The cowl/hood and matching sash are black. 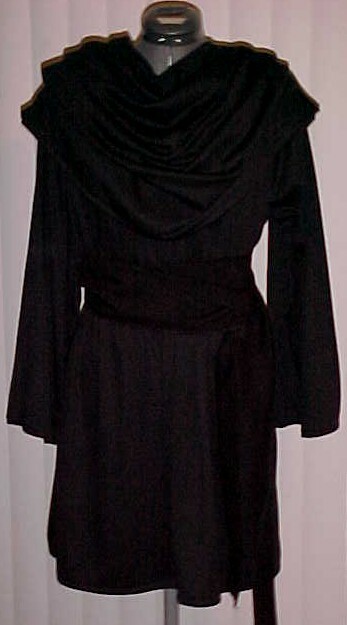 This tunic has a black body with black sleeves. The cowl/hood and matching sash are tan. 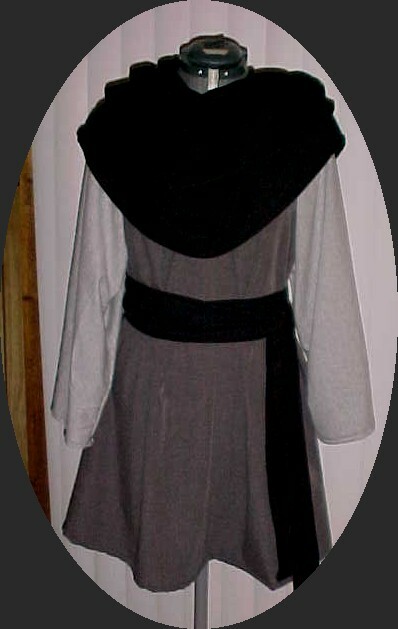 This tunic has a dark grey body with light grey sleeves. The cowl/hood and matching sash are black. This is a simple pair of pants with an elastic waist, and side seem pockets. I will email you with color choices. Or you can email me. I will also need your waist and inseam measurement. These are a few examples of one of a kind tunics. We build these custom all the time so if you don't see what you want just ask. 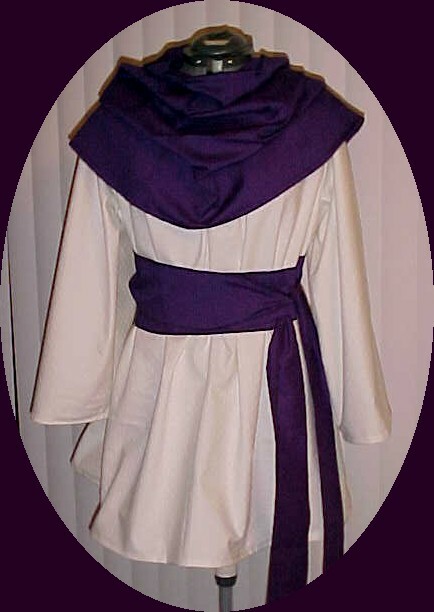 This tunic has purple body with purple sleeves. The cowl/hood and matching sash are white. 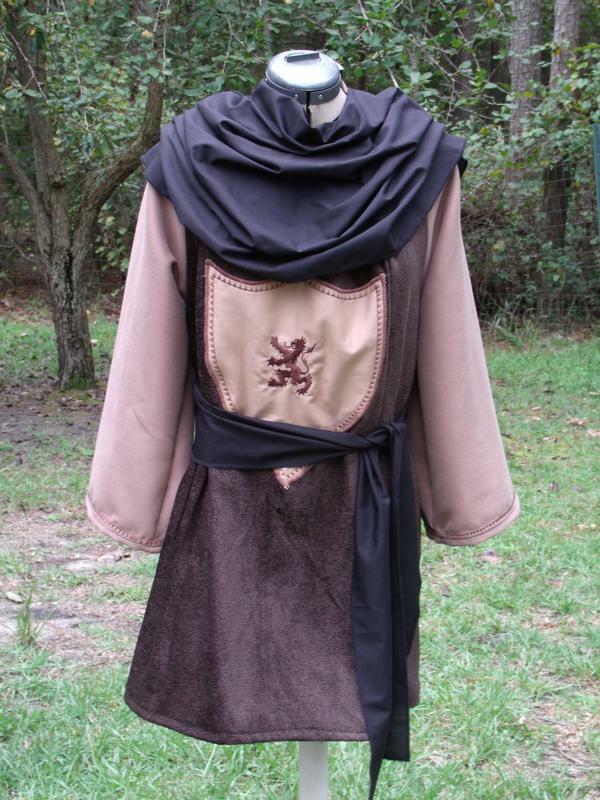 This tunic has a black body with black sleeves. There is brown trim. 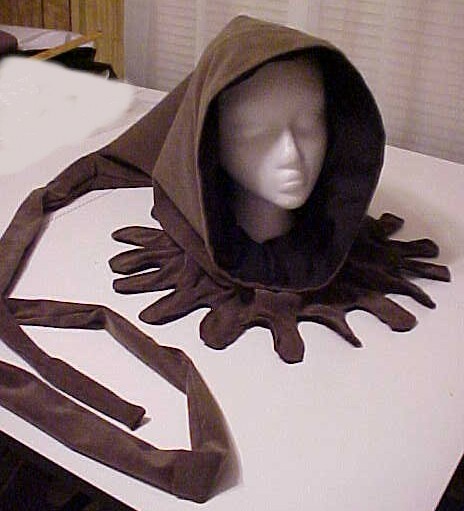 The cowl/hood and matching sash are brown. 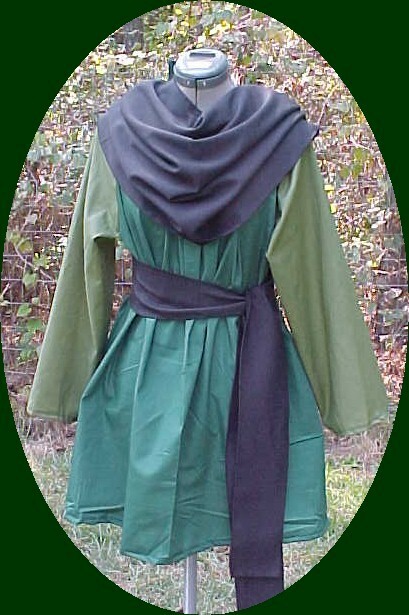 This tunic has a green body with lighter green sleeves. The cowl/hood and matching sash are black. 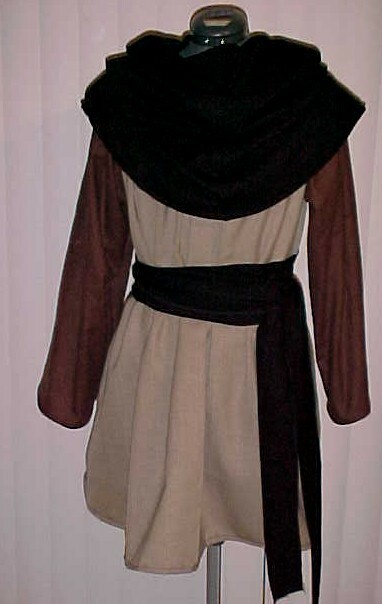 This tunic has a brown body with tan sleeves. The cowl/hood and matching sash are black. There is a tan embroidered area on the front.